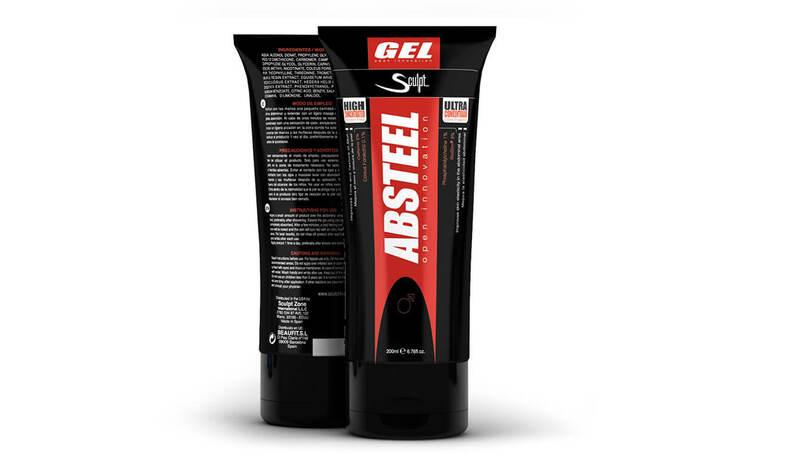 Absteel® Reducing cream for men | The most effective treatment for losing abdominal fat. It is an innovative body treatment, designed especially for men, which will help you to remove abdominal fat and define abs. This burning cream inhibits, prevents and stops you to continue storing abdominal fat. If your goal is to eliminate the abdominal fat, add our Absteel® reducing cream to your weight loss diet and your abs exercises. The cosmetic composition of the Sculpt® reducing cream for men, firming and anti-cellulite creams have a combined effect of hot / cold. They activate the blood microcirculation favoring the absorption and effects of other extracts. This effect is the key element to drain any accumulated fluid under the skin and to reduce the fat nodules that are responsible for the cellulite appearance, it acts on the capillaries when there is accumulated fat to eliminate, it can be said that we activate metabolism, promoting fat burning and improving the skin tone, day by day. 1. It´s the most effective treatment for men against abdominal fat. 6. Define your six pack and reduce waist. Apply a small amount of product over the abdominal area once daily before bed, preferably after showering. Extend the reducing cream using circular motions until it is completely absorbed. After a few minutes, a cool feeling combined with a warm one will be noted and the skin will turn red with an itchy feeling possible on the area. For best results, do not rinse off product after application. Wash hands and wrists after each use. Apply product 1 time a day, preferably after shower. and before getting to bed. Aqua, alcohol denat, propylene glycol, menthol, caffeine, peg-12 dimethicone, carbomer, camphor, parfum, lecithin, dipropylene glycol, glycerin, carnitine, triethanolamine, escin, methyl nicotinate, coleus forskohlii root extract, pvp, theophylline, threonine, tromethamine, commiphora, mukul resin extract, equisetum arvense extract, fucus, vesiculosus extract, hedera helix extract, laminaria, digitata extract, phenoxyethanol, potassium sorbate, sodium benzoate, citric acid, benzyl salicylate, citronellol, coumarin, d-limonene, linalool.